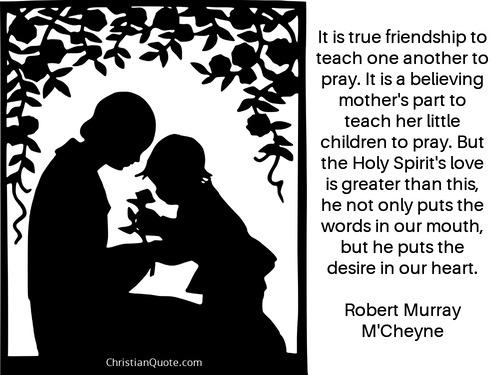 It is true friendship to teach one another to pray. It is a believing mother’s part to teach her little children to pray. But the Holy Spirit’s love is greater than this, he not only puts the words in our mouth, but he puts the desire in our heart.